Our 7- member ensemble is based in Toronto (Scarborough). 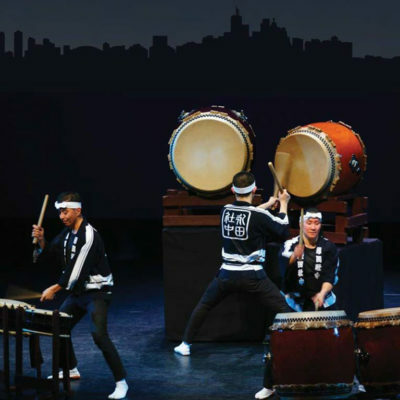 While rooted in the folk drumming traditions of Japan, the ensemble’s principal aim is to rejuvenate this ancient art form by producing innovative and exciting music that seeks to create a new voice for the taiko. In addition to having recorded six CDs of original music and three live DVDs, Nagata Shachu produces our own annual concert where we premiere new works and often collaborate with guest artists.